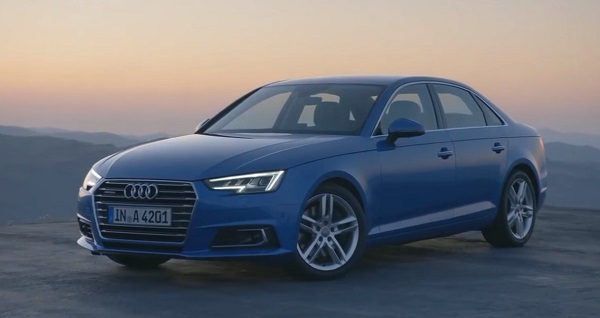 Audi A4 will receive a restyling in 2016. • the use of high technology, provide optimal technical characteristics and comfort of the car. Note active use of chrome in trim. • height of 1427.00 mm — remained unchanged. Versatile 1.00 mm shorter than the sedan (4725.00 mm) and above it on a 7.00 mm (1434.00 mm). Increasing the size allowed to add 23.00 mm to accommodate the legs, increasing comfort for rear passengers, as well as give additional 24.00 mm above the head and 11.00 mm between the front seats. • placement of ducts, which reystaylingovoy models ranked. Luggage capacity at the new version of Avant wagon one of the best in its class — 505 liters with the seats folded — 1510 liters. Also note in the standard automatic opening / closing of the rear doors and the boot lid using the drive. • Sports (compared to the serial model, ground clearance reduced by 23 mm). 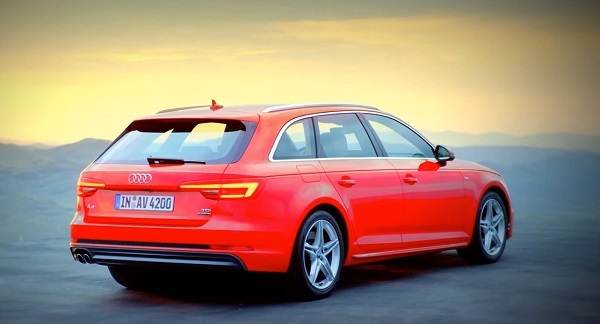 • TFSI capacity of 2.00 liters capacity of 190 hp — Unique, innovative engine with a completely new method of combustion and the declared consumption per 100 kilometers 4.80 liters for the sedan and 5.00 liters for the station wagon Avant. • TDI with six-cylinder turbocharged 3.00-liter capacity, capacity of 218 hp (manufacturer believes that it is — the most efficient six-cylinder engine in the world, expenditures totaling 4.20 liters per 100 km) and 272 hp (consumption of 4.90 liters per 100 km for the version with all-wheel drive Quattro — 5.10 liters per 100 km). Over time, the supposed installation of hybrid engines. By increasing the capacity of the power plant designers managed to reduce fuel consumption by 21%. • Eight Tiptronic (only available for the six-cylinder diesel versions with 3-liter engine producing 272 hp). • system Audi drive select. According to this information, the new Audi A4 — the car worthy of attention, which could be a serious competitor Mercedes-Benz C-Class and the BMW of the third series, not to mention the Lexus IS and Infiniti Q50, and very soon will the emergence of another competitor — Jaguar XE . So the fall in Frankfurt promises to be hot! 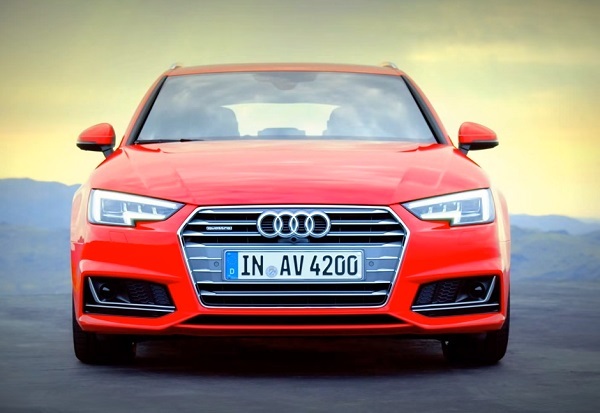 It only remains to wait for the restyling of Audi A4, which is scheduled for November 2015.